Getting Started with FLORA tutorial and software at Adafruit. 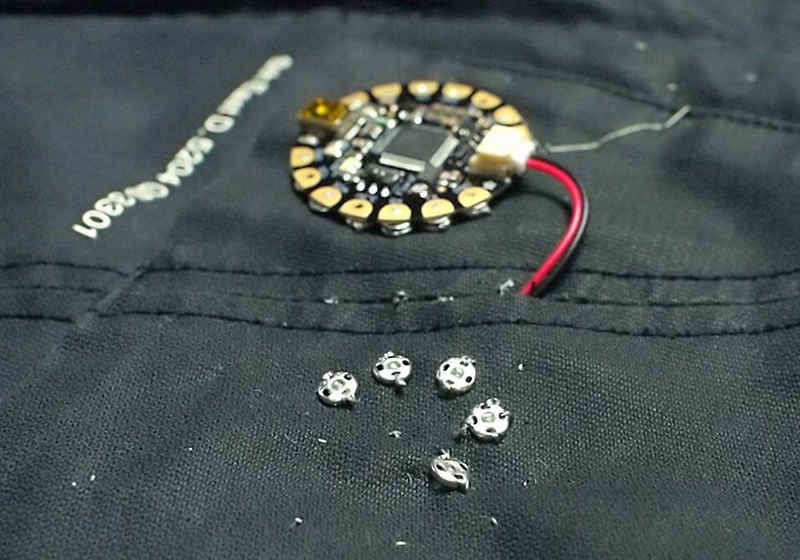 Looking for the perfect way to get started with wearable electronics? Look no further than the FLORA GPS Starter Kit. Developed by our friends at Adafruit Industries, this kit contains all the components necessary to complete several fun wearable projects. 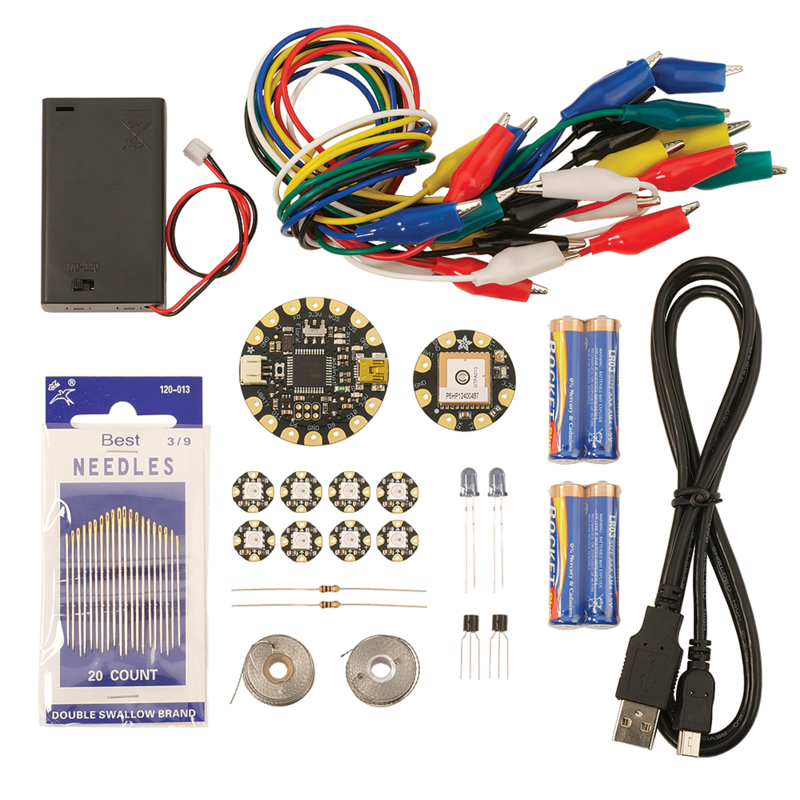 Robust, beginner-friendly microcontroller platform for both sewing and electronics novices. 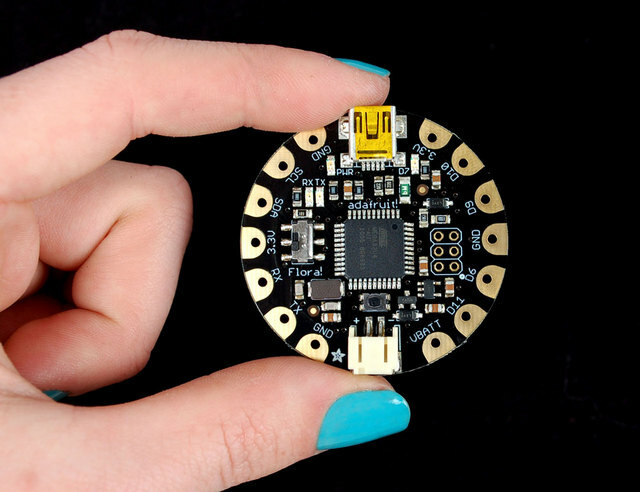 Includes a variety of sensors able to power a myriad of wearable projects. Compatible with LiIon/LiPoly, LiFe, alkaline or rechargeable NiMh/NiCad batteries of any size providing power flexibility. Flora Wearable Ultimate GPS module. Eight Flora RGB Smart Pixels. 3-cell AAA battery holder with JST connector and on/off switch. Stainless thin conductive thread, 2 ply, 25 meters (85 ft). Stainless medium conductive thread, 3 ply, 18 meters (60 ft). Needle set with 20 pieces. Small alligator clip test leads, set of 12. USB cable, A to Mini-B. (2) NPN bipolar transistors, PN2222. (2) Super-bright 5 mm IR LEDs. NOTES: The required software and libraries for programming FLORA are available in the "Getting Started with FLORA" web tutorial at learn.adafruit.com.